– When was the last time you really smiled at work? – When was the last time you arrived at worksmiling? – When was the last time youleft work smiling? – Are you smiling on the inside enough? – Are you smiling on the outside as you should be? 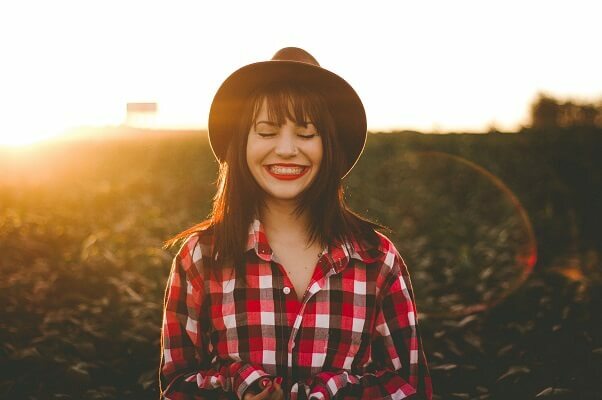 I ask these questions as I had an a-ha moment recently about the importance of remembering to smile – inside and out. I have been writing a book the last 20 months (A Thousand Little Lightbulbs: How to kick start a culture of Innovation in your organisation – out September 17) and despite best intentions, it has been a MASSIVE struggle at times. As a rule, I really enjoy writing but I have found the book to be an intense process. There were so many times when I would find myself stuck. I was feeling far too angst about writing and it felt like at times I had a big handbrake on. My creative flow – the mental state of being completely present and fully immersed in a task — just wasn’t happening. For someone who has made a living from their creativity, this was an unusual place to be in. It took a while but I realised what the problem was. I was forgetting to smile. My writing mentor has really pushed the mantra of smile while you write but I had subconsciously moved away from that. Like any author, I was so wrapped up in everything – research, managing my time, the imposter syndrome, trying to perfect it all – that I had forgotten to make a conscious decision to enjoy myself. As my smile disappeared, I was enjoying writing less and less and the words were struggling to come together as I wanted. Once I chose to consciously smile both inside and out, I started to enjoy the process of writing and editing again. The problems I thought I had weren’t really problems I had made them out to be. My energy picked up, I recovered what I call my creative sparkand quickly came out of my stuck state. A big aim with my book was to make innovation FUN and thankfully, my book started to have some humour in it again as well. Choosing to consciously smile whilst writing made me realise that I wasn’t smiling as much as I should in other areas of my life. I realised I was being overly serious about work and in a bunch of other areas.I wasn’t deliberately doing this, it just snuck up. I certainly wasn’t being a big grump. I had just become a little too serious. If you find yourself not smiling as much as you would like to, here are some simple things I have found to turn that frown upside down. 1. Be grateful: Focus on the things that make you happy rather than those that don’t. The Five Minute Journal is a great way to spend three minutes in the morning and two minutes at night to focus on the things you are grateful for and what made your day great. Despite best intentions, I only manage to do this a few times/week but that any gratitude is better than none at all. 2. Practice mindfulness: I am not wanting to be all woo-woo and astral travelling but taking five each day to just slow down and breathe is important. For me, this has made a MASSIVE difference. It’s chilled out my overly busy head. It’s enabled me to step back and recognise that the moments that make you not smile finish quickly. They don’t need to take over your facial expressions for the whole day. I use the guided mindfulness app Calm and a lot of friends use Headspace to help with this process. 3. Do some Exercise: Even a very short burst of physical activity sends endorphins and other feeling-fine neuro transmitters such as dopamine and serotonin pulsating around your body and brain. As an antidote to the average headspace and lack of smile I had whilst book writing, I have made exercise and a regular surf my non-negotiables. I make sure that my diary fits around these, rather than the other way around. It’s very rare to emerge from a surf or finish exercise and not be feeling pretty damn good. If you want to read more on exercise and the positive impacts on mental health, click Healthy Mind. 4. Check in regularly: Ask yourself, “how am I feeling? Do I need to be feeling so serious?” If not, smile and get up and move. If you struggle to remember to check in, set daily alarms on your phone to check at those more stressful times. I have done this and can vouch that it works well. I believe that smiling and happiness is contagious. If you wander into a room of happy people, you can’t help but feel good. If you wander into a party where the energy is good, you want to be there. If it’s the opposite, you generally can’t wait to get out of there. Be that person that others want to spend time with because of their big smile. Yoko Ono said, “Smile in the mirror. Do that every morning and you’ll start to see a big difference in your life.” Start smiling and see how it can improve your day. Who said life had to be so serious anyway? And the book? 52,000 words are at the printers now. I can’t wait to share it with you. About Author: Simon Banks is an author, emcee, speaker, and training facilitator who is professional and creative, and brings all the vim and vigour your audience expect to ensure brilliant corporate events. He’s the Director of creative training company VisualFunk, known for running innovation hubs, conferences and training days to brew fresh thinking and develop market leading ideas. His first book, 1000 Little Lightbulbs: How to kick start a culture of Innovation in your organisation will be released in September 2017.